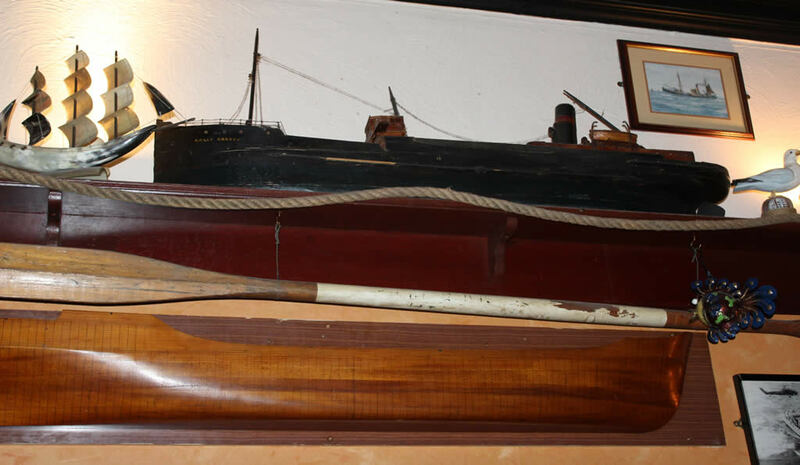 As you'd expect from our name, we are rather nautically inclined! 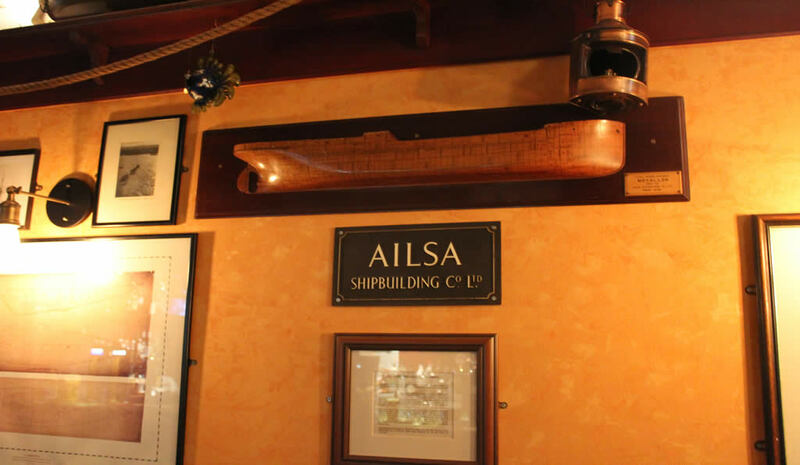 This is reflected in the decor with various trinkets & antiques collected from the Seven Seas & Troon's former shipbuilding yard, Ailsa Shipbuilding Co.
With traditional seperate bar & lounge areas, you'll find warmth & comfort regardless of your preference. 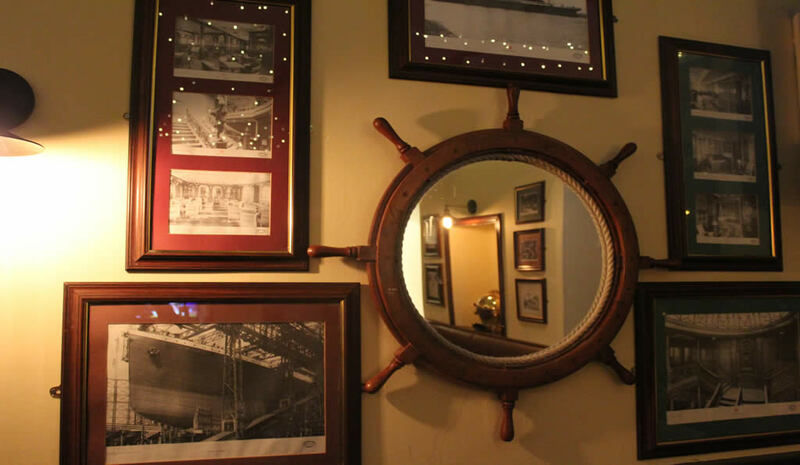 Serviced by a central bar which is renowned for its wide selection of Malt Whiskies, Rum & Gin. 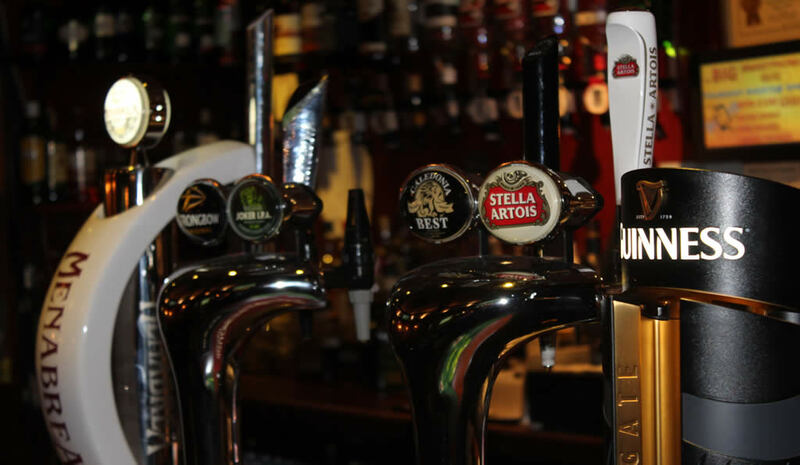 A selection of cask, craft & imported beers are also available on draught & bottles. If we are missing your favourite tipple, please let us know and we will endevour to add it to our offerings. 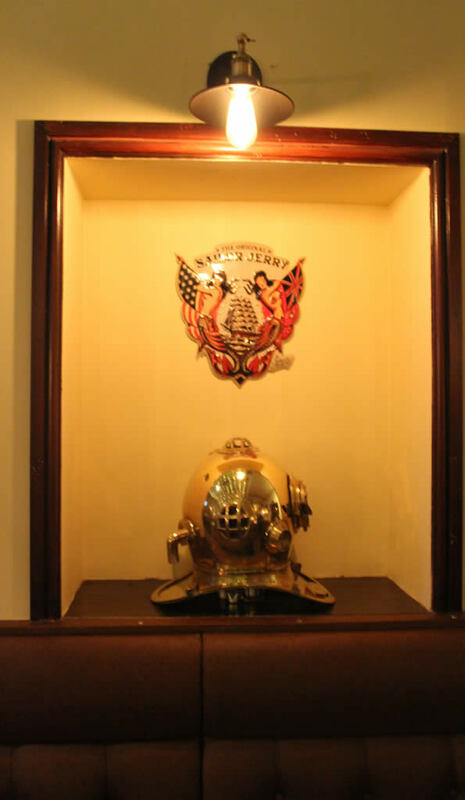 The Public Bar area consists of high & low tables, pool table & jukebox. 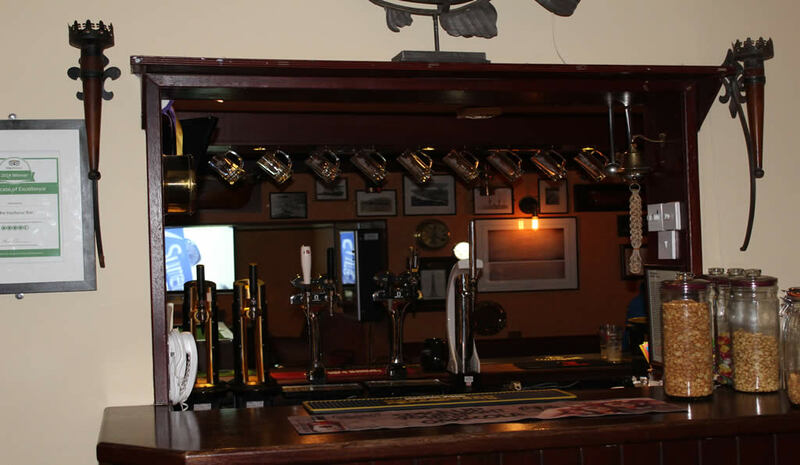 To compliment our full Sky & BT Sports HD Coverage, there is an array of TVs & giant HD Projector Screen for big games. 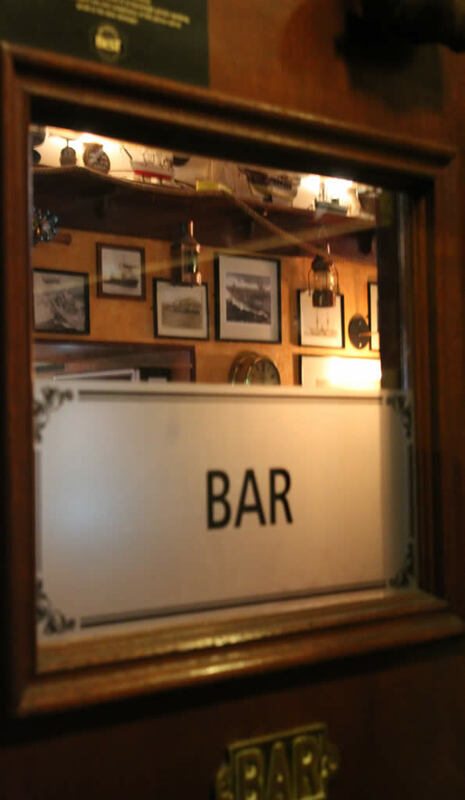 Dugs are also welcomed into the public bar with dug bowls & gravy bones in plentiful supply! 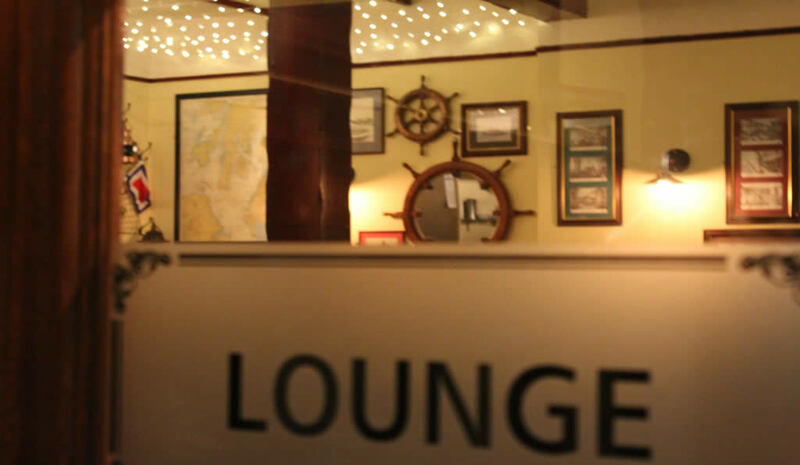 The lounge bar is the main food area with comfortable seating for around 30. Also equipped with a 100inch HD Projector Screen, it is the ideal place to sit back, relax, munch & enjoy the game. 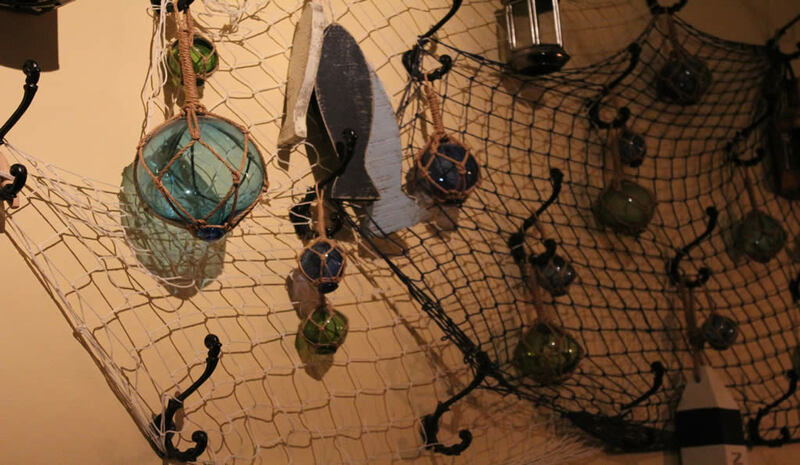 Almost every Saturday, the lounge plays host to Live Music in the form of blues/rock or accoustic offerings. This is also wired to speakers & televised in the bar area so if you feel it a little too loud there's quieter areas where you can enjoy it too!